Anna has just separated from her husband, and she has despatched her tiresome teenage daughter Kit to her parents, from whom she is estranged, so that she can progress her affair with Peter. In the carriage, a middle-aged couple was glancing back at the cars behind them, their flushed embarrassment a version of delight. He laughed. This was their ease: her placid malice, the banter that modulated into contempt. ‘I’ve got you something.’ He set a navy box on the table. She knew he meant this gift to signal the event: this week in Melbourne, his advance into her house. Only this ceremoniousness marked him off from the social world that he inhabited, otherwise, like a native. A scholarship student at school, he had fallen in with the boys who spent their summers at family beach houses and their winters in the snow; an unassuming and, finally, inevitable guest. His clothes must have been a problem, she thought. Doubtless his success had depended on a readiness to disarm mockery by first mocking himself. What he had not managed to subdue, she thought, was this desire to mark occasions. He lacked the unconsciousness which, more than anything, marked the bounds of that inherited world, which had no end and no beginning for those who lived in it: it was outside history; it was how they knew each other. 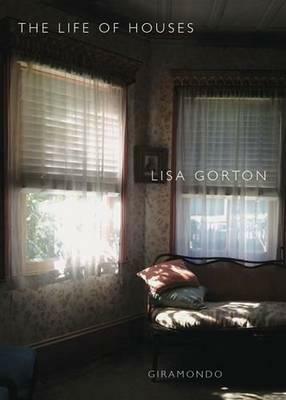 The Life of Houses, by Lisa Gorton, Giramondo, 2015, p16. Yes, this is how she thinks about the man she now loves! ‘Placid malice’ – love that. I’ve got this to read but feel it needs a quiet space to give it my full attention. Look forward to your review, Lisa. I found this quite a memorable sensory experience but for me it didn’t quite work on the psychological level. Will be interested to read your further thoughts. I’m liking it so far!